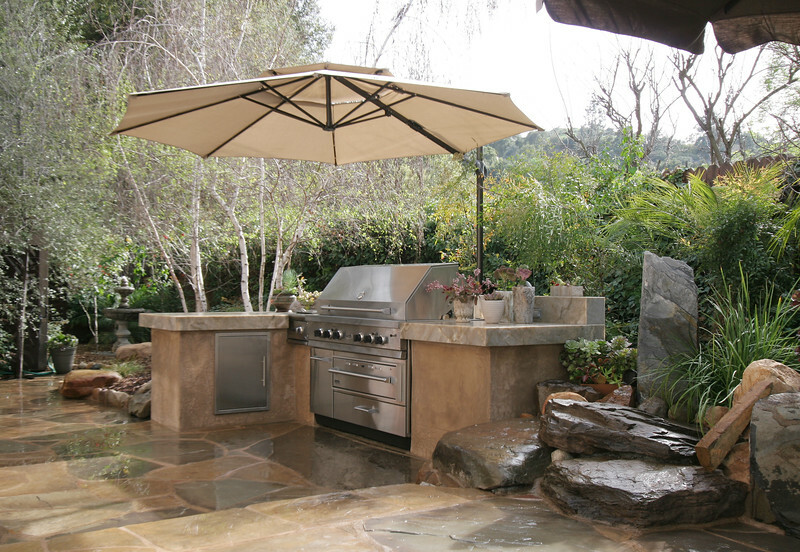 OUTDOOR KITCHENS & DINING - Sacred Space Garden Design, Inc.
Design & Installation by Sacred Space Garden Design, Inc.
Beautiful setting for this BBQ island surrounded by monument boulders, flagstone patio & fountains. Base is constructed using block & finished with smooth coat stucco. The elegant countertop is honed granite.